Reader and dear friend SGB presents the blog with the final list of December's Reader Top Ten. 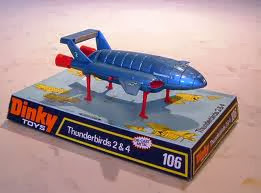 The subject is the top ten greatest toys of your childhood. 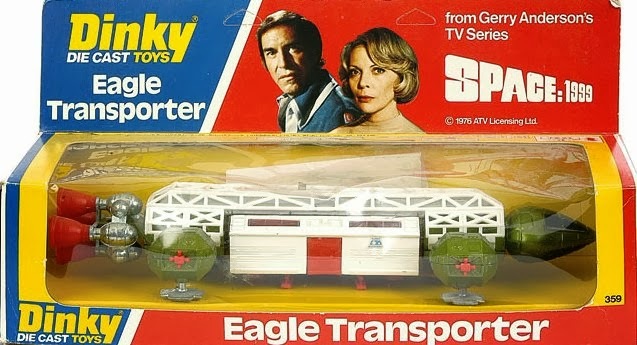 I intentionally left model kits off my list because the list instead would have been made up of nine science-fiction model kits plus the Mattel Eagle toy. 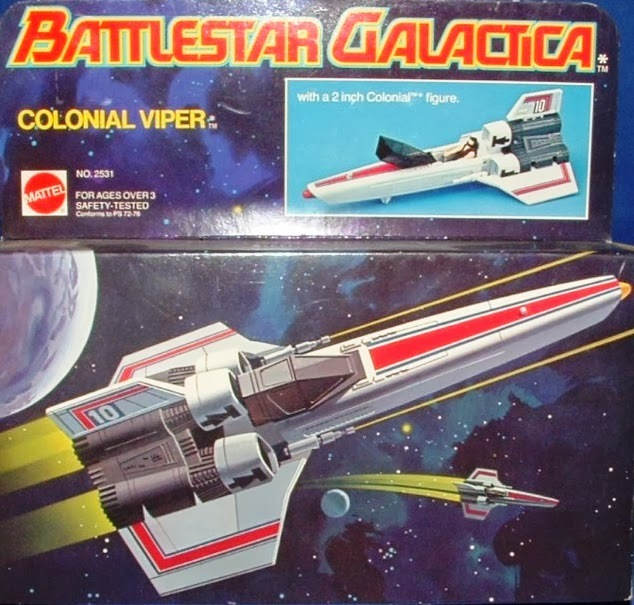 In the '70s into the '80s I enjoyed every science-fiction model kit that I could because my friends and I loved to build model kits. 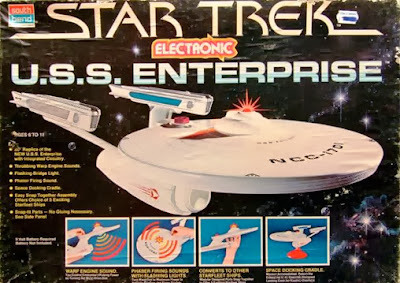 My first model that launched my interest was in the mid-'70s with the AMT STAR TREK U.S.S. ENTERPRISE[Original Series]. My model kits that were built back then, which I still have all stored in large plastic containers, are from Star Trek TOS, Space:1999, Star Trek:TMP, Buck Rogers In The 25th Century, Battlestar Galactica'78, Black Hole, Star Wars, Voyage To The Bottom Of The Sea, 2001:A Space Odyssey, etc. If a model kit was not being merchandised I would build them from cardboard, e.g., Space Academy's Seeker, Space Academy's Starfire, Planet Of The Apes A.N.S.A. 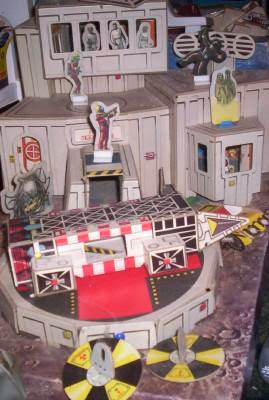 Spaceship, Starlost's Ark, Silent Running's American Airlines Valley Forge, ArkII, Filmation's Flash Gordon's Aerial Navy Imperial Flyer (yellow), Filmation's Flash Gordon's Aerial Navy Royal Imperial Flyer(white), Thunderbirds Tracy Island, UFO's Skydiver, etc. SGB: The toys on your list are so great -- and so beloved -- I almost don't know where to begin. Like you, I am an avid admirer of Space: 1999 and love the Mattel and Dinky Eagles, as well as that Amsco playset. 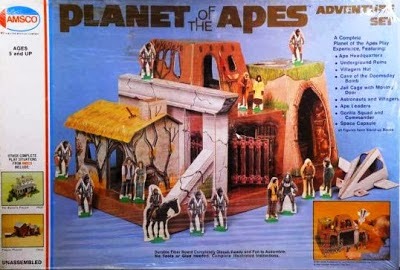 I also love the Apes playset from Amsco, and wish that I still had one! The South Bend U.S.S. Enterprise I found at a flea market in 2000, still in it's box, and I got it for ten dollars. I couldn't resist opening it. The decals are peeling today, but I still have this great ship in my home office. 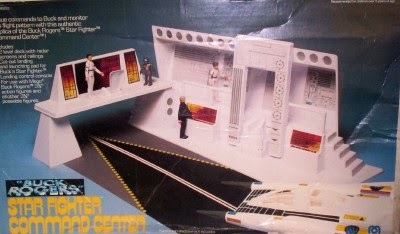 As we've discussed before, the movie re-fit of the Enterprise is "our" Enterprise -- the starship of the 1970s space kid! A fantastic list, and I'm so glad you shared it with us. John thank you for your thoughts on my list. I agree that the AMSCO PLANET OF THE APES PLAYSET was a special toy for me because they were smart to include the spaceship. As a boy, Planet Of The Apes(1968-1975 productions) were first attractive to me because of the spaceships the astronauts arrived in. Merry Christmas to all here at your always interesting John Kenneth Muir's Reflections on Cult Movies and Classic TV blog and, of course, a very Happy New Year! Merry Christmas, and Happy 2014 to you as well, SGB. I have enjoyed your fellowship and comments all throughout the year, and I loved this list cherished childhood toys. We share so many favorite toys in common! I just came across this site and it brought back some of the greatest Christmas memories from my childhood! 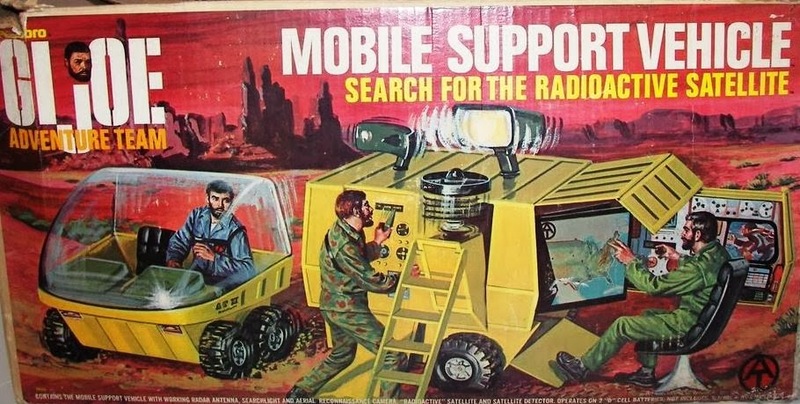 I had the GI Joe Mobile Support Vehicle, I got it for Christmas when I was about 9 or 10, I'm 54 today, and I could have sworn the box had a green background as opposed to this red one. Was there different box illustrations in say Canada/North America to Europe maybe, or is my memory fried? I am a follower, thank for the great stuff and the time and effort you obviously lovingly put into this.